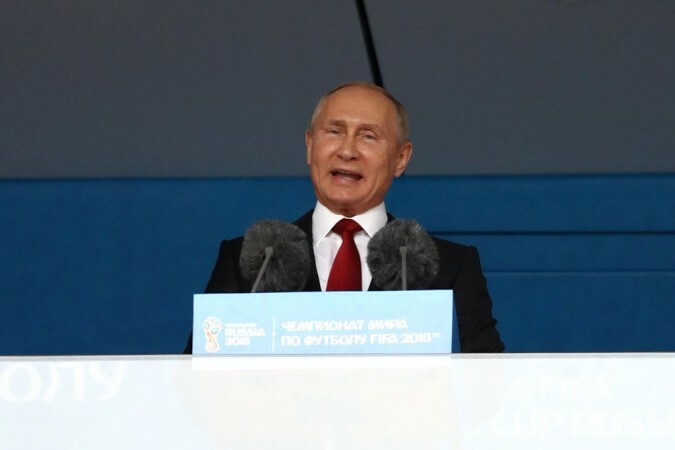 Vladimir Putin was unable to attend the Round of 16 tie on Sunday, July 1 but he had called Russian coach Stanislav Cherchesov hours ahead of the kick-off at the Luzhniki Stadium in Moscow to convey an important message. Read on for more. Hosts Russia have certainly punched above their weight. After helping raise eyebrows by qualifying to the knockout stages, the lowest-ranked team at Fifa World Cup 2018 booted out former champion Spain after winning Sunday's Round of 16 tie in Moscow 4-3 on penalties. There was very little expectations from Stanislav Cherchesov's men as they were struggling in the lead up to the quadrennial event. Following injuries to key players, including influential striker Alexandr Kokorin, Russia weren't bookies favourites to even progress past the group stages. However, the Russians brushed aside all the concerns as early as on the opening day of the World Cup by crushing higher-ranked Saudi Arabia 5-0. They went on to beat Egypt 3-1 before suffering a blip against group leaders Uruguay in their final round-robin match. A pre-quarterfinal test against former champions Spain seemed an uphill task. Even the most ardent fan of Cherchesov's men would have had doubts ahead of the match. They weren't expected to come this far but having gotten out of the group stages, the young side would have felt pressure. Russian president Vladimir Putin, aware of the pressure the hosts were facing, spoke to Cherchesov on phone hours before the Round of 16 match on Sunday, June 21, according to Kremlin spokesman Dmitry Peskov. Putin had not only wished the team well but also came up with words of reassurance when he told the coach that team would not be judged, regardless of the outcome of the match. "Before the match, around noon, the president called the coach and wished him well," Peskov said, as quoted by the BBC. "Putin said that under Cherchesov's leadership, our guys have already accomplished the impossible - made it out of the group. Putin also noted that regardless of the outcome of the match against Spain, no one in our country was going to judge them." Backed by a thunderous home crowd at the Luzhniki Stadium, Russia wrote yet another chapter in what has been a tournament of upsets. Spain were punished for their boring, direction-less football as they were unable to break the deadlock after Artem Dzyuba canceled out Sergei Iganashevich's own goal in the 41st minute of the match. 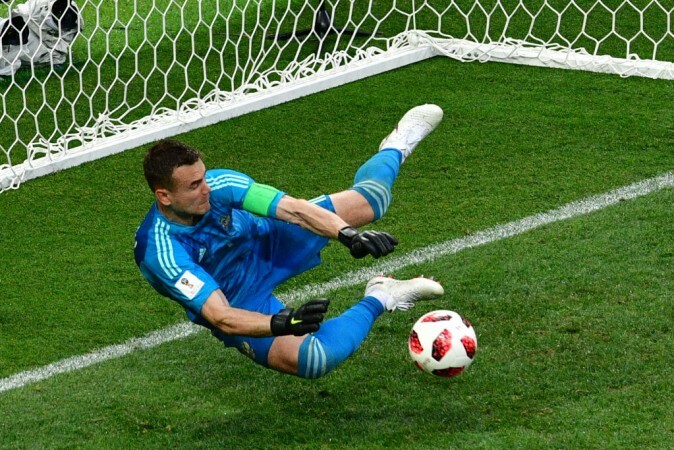 Goalkeeper Igor Akinfeev was on top of his team as he helped Russia survive a few nervous moments towards the end of the extra-time on Sunday. The CSKA Moscow shot-stopper was at it again during the penalties as he made two stunning saves to deny Koke and Iago Aspas and helping his team book a place in the quarter-final. Putin did not attend the match on Sunday but Russian prime minister Dmitry Medvedev watched the national team script history from the stands. The influential president though congratulated the team on the memorable win. "Just like the whole country, Putin watched the game from start to finish and cheered for our [lads]," the Kremlin spokesperson added.